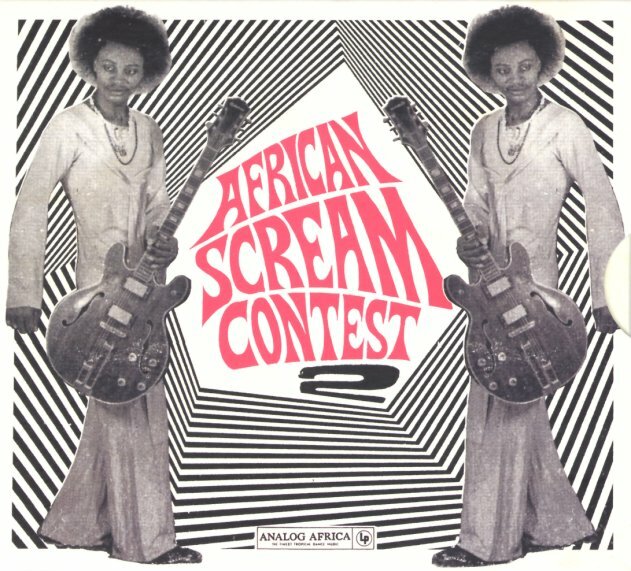 A long-overdue second chapter of the African Scream Contest compilation – the first of which introduced a huge new audience to the funky sounds of Benin in the 70s! This set is every bit as fantastic as the first – filled with tunes that have these darkly brooding, heavy funk components – but also take off in all these wonderful directions too – sometimes more dynamic in the melodies, sometimes with slight currents of exotica – but almost always sounding very different from Nigerian grooves during the same generation! Production is often nice and raw – which really opens up the depth of these tunes – and as before, there's a huge set of notes and images that really illuminate these wonderful sounds! Titles include "A Min We Vo Nou We" by Les Sympathics De Porto Novo, "Dja Dja Dja" by Stanislas Tohon, "L'Enfance" by Elias Akadiri & Sunny Black's Band, "Asaw Fofor" by Ignace De Souza & The Melody Aces, "Paulina" by Black Santiago, "Baba L'Oke Ba'Wagbe" by Super Borgu De Parakou, "Moulon Devia" by Orchestra Poly-Rhythmo De Cotonou, "Nounignon Ma Kpon Midji" by Antoine Dougbe, and "How Much Love Naturally Cost" by Gnonnas Pedro & His Dadjes Band. © 1996-2019, Dusty Groove, Inc.